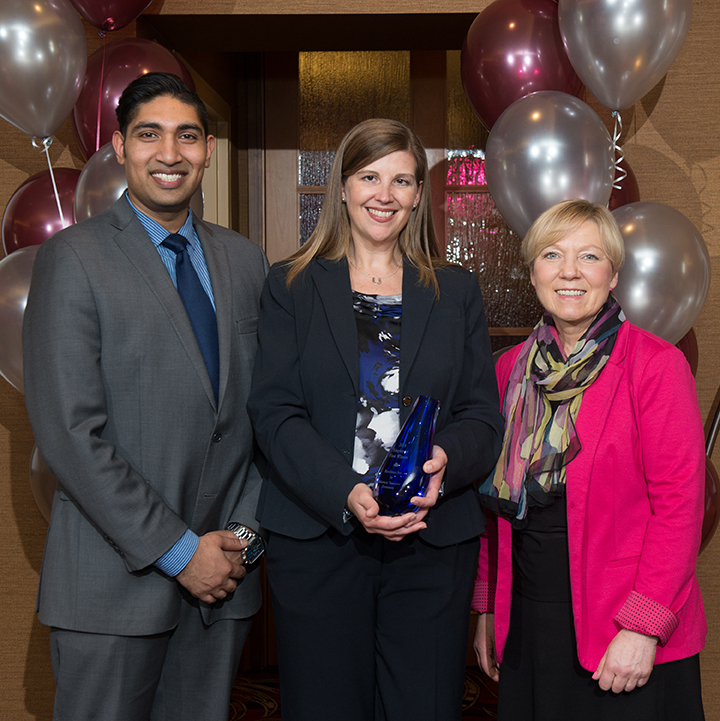 Vancouver, BC, April 7, 2015 – Residence Inn® by Marriott Vancouver Downtown proudly announces that it has been awarded the 2014 Employees First Award by go2HR, the BC tourism industry’s human resources association. The Employees First Award recognizes a British Columbia tourism and hospitality industry employer who has upheld high standards of excellence in human resources and people management practices. Nominees are judged on their ability to promote a positive work environment for their employees, how they’ve implemented effective HR/people management practices, and how these practices have helped the company attract and retain staff. Residence Inn® by Marriott Vancouver Downtown has created a cooperative culture based on two-way communication. Associates of the hotel are encouraged to engage with the management team and the management team in turn provides feedback and quarterly performance reviews for improvement. Other examples of successful HR strategies include a detailed orientation program, a buddy system with an experienced colleague, recognition programs and more. “This is an exciting achievement for our Residence Inn by Marriott team, and demonstrates our commitment to invest in our people on both professional and personal levels,” says Steve Giblin, President & Chief Executive Officer, SilverBirch Hotels & Resorts. Welcoming guests to discover a balanced and energized home away from home, the Residence Inn Vancouver Downtown features all the amenities needed to make time on the road comfortable and productive. Whether a seasoned business traveller looking for corporate accommodations, or a leisure traveller seeking extra space for the family, our extended-stay hotel’s downtown location in Vancouver, BC, modern amenities and intuitive service will bring joy to your travel experience. Featuring studio and one-bedroom suites with separate living and sleeping areas along with fully-equipped kitchens for all the comforts of home, the hotel also provides ​free wireless Internet access so guests can stay connected, a free hot breakfast served daily, complimentary grocery shopping service, an impressive fitness center and atrium pool. On-site meeting spaces include an executive boardroom and our warm and inviting Gatehouse which can host receptions for up to 100 persons.